Home builders in Calgary know that every little bit of savings has a positive impact on the environment and your financial bottom line. Recent advancements in home comfort technology have brought a wider range of options to Calgary residents looking to optimize their home heating efficiency. As a leading local custom home builder, Fine Line Homes is proud to offer these and many other innovative products. No matter which system you choose, custom home builders in Calgary stress the importance of proper thermostat programming and operation. 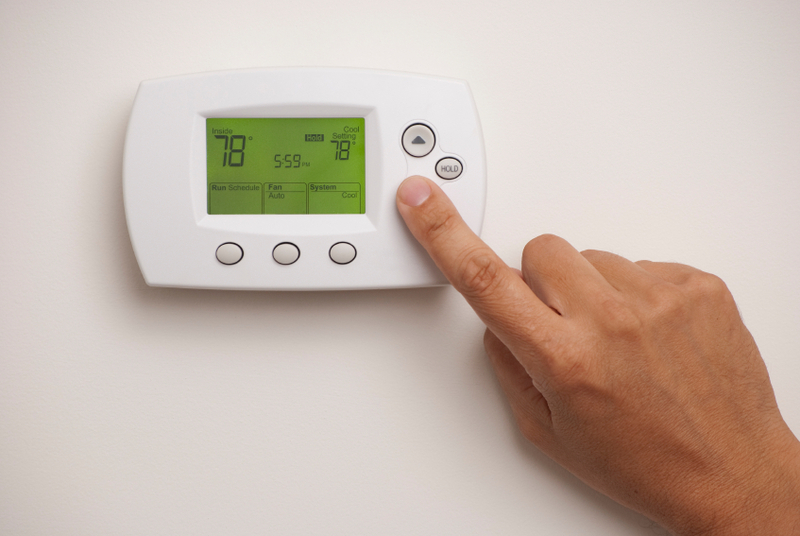 Knowing and applying best practices for your thermostat will maximize your home energy savings. One of the most important things to remember about your thermostat is this: the lower your home’s indoor temperature, the slower the rate it will lose heat energy to the outdoors. Many people operate under the mistaken assumption that reducing the indoor temperature forces your heating system to expend more energy to warm things back up. This is a common misconception. A common and effective strategy is to set your thermostat to a reduced level during the overnight hours, or during the day when the members of your household are at work or school. Studies have shown that for every eight-hour period you reduce the indoor temperature, you will save 1 percent on your heating costs per degree Fahrenheit of heat reduction. In other words, if you scale back to 65 degrees during the night instead of the usual 68 degrees, you’ll save 3 percent per year. Of course, actual savings vary, depending on the type of heating system you use in your home. That’s why Fine Line Homes recommends choosing an advanced system with built-in efficiency features; the lifetime savings can total thousands of dollars. Finally, zoning systems are well worth considering. A zoning system divides your home into two or more heating and cooling zones, each of which is controlled with a separate thermostat. It liberates you from the need to heat up your entire house to increase the comfort in a single room, opening the door to even greater savings. Industry insiders are predicting that we’ll see an explosion of advanced home technologies in the next few years that will make the so-called “smart home” a reality. Take advantage of these exciting products as they become available, as they’ll help you save even more money and energy. Fine Line Homes is a leading Alberta-based custom home builder, serving Calgary and the surrounding areas. The company has earned its reputation for innovation and quality through years of hard work, and the Fine Line Homes system ensures your complete satisfaction. Many people don’t realize that they can build a new custom home for a price that’s comparable to what they would pay on the resale market. Why buy used when you can build new? To learn more, visit Fine Line Homes online to get a free estimate.